"I am very grateful that Mr. Sampson is going to promote my career as a professional fighter. Now is my turn to demonstrate him and everybody else that I came to this sport to be the best and beat the best," said Nunez. 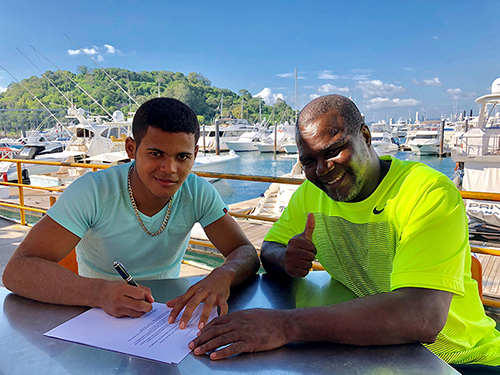 Manager and trainer José Murillo says he's also happy with his young fighter's new deal. "We are well aware of who Mr. Lewkowicz is and what he is able to accomplish for Nunez and we can´t be more confident that he is in the best hands possible. What Sampson promises, Sampson delivers. We have full confidence that we have taken the right decision signing this deal." "It is a great honor to work with another Panamanian, as I did with ex world champions Anselmo "Chemito" Moreno and Roberto "La Arana" Vasquez," said Sampson Lewkowicz. "I am confident that Jose will become another world champion of their quality."